In one of our recent research, we estimated a total of $260 million invested in Indian Analytics startups in 2015. But who are investors that became the part of India’s analytics growth story. Here we list down the top 10 investors according to their investments (in descending order) in analytics industry in India. Read similar story from 2014. With its investment of $35 million in Saama Technologies in June 2015, Carrick Capital Partners became the biggest investor in India Analytics growth story. Though headquartered in Silicon Valley, more than 60% of its employees are based out of India. Carrick Capital Partners is an investment firm that utilizes ABV (Approach to Building Value) to operationally scale fast growing businesses that provide technology-enabled services. Carrick adds value by taking a concentrated approach and dedicating significant resources post-investment. Carrick helps scale great companies that deliver significant returns for investors, stimulating economic growth and positively impacting the industry landscape. Working directly with CEOs and entrepreneurs, Carrick fulfills a vital need for investment and growth expertise. In Feb 2015, Bengaluru-based big data analytics startup, Manthan has raised USD 60 million in series D round led by Temasek and Norwest Venture Partners. This was the biggest investment round that Manthan had since inception, which also make Temasek among leading investor in Indian analytics firms. Along with Temasek, Norwest venture Partners invested in Manthan’s Series D of $60million in 2015. Norwest venture Partners is a global, multi-stage venture capital and growth equity investment firm. Norwest manages approximately $6 billion in capital and have funded more than 575 companies since inception. Headquartered in Palo Alto, California, Norwest has subsidiaries in San Francisco, New York, Mumbai and Bengaluru, India and Herzelia, Israel. Norwest also has investments in other Indian analytics firms including, Capillary Technologies and Qubole. Antuit Holdings Pte Ltd, a big data solutions firm, secured an investment of up to USD 56 million led by global investment bank Goldman Sachs, in early 2015. Antuit is a Big Data Services company offering analytical solutions to support Sales and Marketing and Supply Chain programs at retail, consumer products, transportation, financial services and technology companies. Zodius Capital invested in Antuit along with Goldman Sachs in 2015. Zodius was also a founding investor in Antuit. Zodius invests in and actively develops high growth and market-defining India-centric businesses targeting the Enterprise Software & Services, Big Data & Analytics and Consumer Mobile/Internet markets. The strong advisory team based in Mumbai adds significant domain expertise, operational experience and global networks to the portfolio companies in order to develop them as highly valued market leaders in both Indian and global markets. Helion Venture Partners invested a total of $15 million out of $30 million Series C funding of Gurgaon and New Jersey-based big data analytics firm Axtria. Founded in 2006, Helion is an early to mid-stage, India-focused venture fund with over $600 million under management. Helion also invested in MoEngage, a mobile user analytics & engagement platform, in 2015. 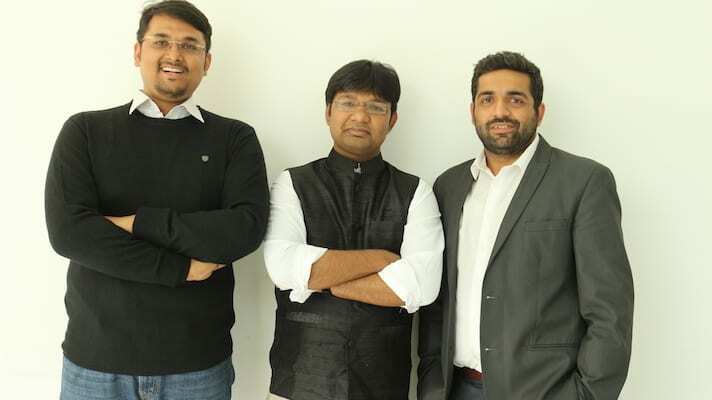 Mumbai-based logistics analytics firm, LogiNext, closed a $10 Mn Series A round of funding from mcommerce platform, Paytm. According to our sources, the entire funding process was completed in a week’s time-right from founders meeting to closing the round. From Paytm’s perspective, the simple rationale behind this investment is to build a logistics cloud for partners, which will be aided by LogiNext. Tracxn, a research analytics platform for private market investors, raised $10 million in a round of funding led by Sachin Bansal and Binny Bansal of Flipkart along with other individual investors. Tracxn had also initially received angel funding from the Flipkart co-founders. Tracxn is targeted towards the VC industry, PE funds and Corp developments and monetizes via a subscription fee. The platform sources its data from various resources including blogs, Twitter, Google News, Alexa, Whois, LinkedIn and SimilarWeb etc and provides its customers with insight if a startup should be invested in or not. Flytxt, that has offices in Mumbai and Trivandrum in India, raised $11 million led by Sunrise Capital GmbH and Big Data Investments BV, in July 2015. Launched in 2008, Flytxt offers internal and external monetisation solutions for increasing revenue, optimising margins and enhancing customer experience. The company claims it has deployed its platforms with more than 50 customers across 32 countries and analyses data of more than 500 million mobile consumers. NGP is an independent fund sponsored solely by Nokia investing in companies that are changing the face of mobility. NGP offers industry expertise, capital and an extensive network, enabling entrepreneurs to build disruptive, industry-changing companies and take them to the global market. With offices in the US, Europe, India and China, NGP extends the reach of companies making their products and services local everywhere. Indix, the cloud-based Product Intelligence company that provides analytics and insights for brands, retailers and commerce enablers, announced that it raised $15 million in new funding from Nokia Growth Partners, Nexus Venture Partners and Avalon Ventures. Nokia Growth Partners has earlier also invested in Vizury.